​-Powerfulness and UNIQUENESS TROUGH DANCE, MUSIC, ARTS, MINDFULNESS, NETWORKING AND MORE IN the UK ! Created by Damarys Farres of DCubanSchool in collaboration with powerful UK dance teachers Andrea Stewart and Sika Tro and mindfulness specialists Despina Bardosi. GODDESS - All Day Dance and Mindfulness Workshops dedicated to ALL female dancers! as part of Damarys' signature and structured workshops : 110% CUBANA - Authenticity & Sabor! This September go beyond Cuban dance and enjoy a FULL day of workshops and surprises dedicated to female dancers! Join us at our All- Dayer, Saturday 7th September from 10am-6pm! Why Celebrate with Us ? WE are celebrating the awesomeness of women of all age, backgrounds and shape in Damarys' new project: GODDESS !!! A celebration of the goddesses of yesterday, the s-heroes of today, the Amazons of tomorrow, the women throughout eternity, all awesome, powerful and unique, through dance, music, arts, mindfulness, networking and more! This is London 2019 .... but with GODDESS!!! Then Join US this Spring !!! If you are interested in sharing your work at this event please contact us ASAP. Also looking for enthusiastic volunteers to help out in various roles! GODDESS !!! : Much more than the learning of different styles of dance steps! -ONE Day of Intensive holistic workshops , self awareness and CULTURE! From TOP UK & INTERNATIONAL DANCE Teachers, Professional dancers and ESTEEMED choreographers. 10am Coffee & talk - Welcome. Introduction of artists and what the event is about - increasing women's awareness, encouraging integration, celebrating similitude and discovering what make us unique. 10:30am - 11:55am - Mindfulness and the Dance with Despina. Connect with yourself! Experience Inner Peace and Happiness! Introduction to Mindfulness. (What is mindfulness? See below). How to combine the benefits of mindfulness in your everyday life and dance workshops. Connect with your inner GODDESS !!! - who is Oshun / Yemaya/ Oya/ Oshanla/Oba/ Yewa, etc – a talk through dance. How to become aware of the GODDESS !!! elements and power and use it in you daily life and dance. Empowering your GODDESS-NESS. Master ON2 Styling, musicality and strengths. Combine your sensuality and strengths. Be playful and confident. Afro Ginga- connecting your femininity through Kizomba & the elements. Master the heels, combine and accept your sensuality and strengths. 17:55 - 18:00 - Stretching and connection with the inner GODDESS !!! ​**There are limited spaces available on this workshop. Created and organised by Damarys Farres, Director of the Cuban School of Arts, in association with Top UK & International dancers and artists. What CAN YOU EXPECT during the Master Workshop ? Flavour, heat and corporal expression. GODDESS at it's best ! Incorporating footwork and corporal expression that will enrich any other dance form that you might enjoy, this workshop will help you with your confidence, style and improvisation on the dance floor. Some classes accompanied by live music. Mindfulness is a life skill which can help reconnect with ourselves and deepen our sense of well-being and fulfillment. It creates the conditions for a calm and present mind and helps cultivate self-acceptance and compassion. With mindfulness we learn how to be caring to ourselves, sensitive to our distress, tolerant of our feelings, understanding and non-judgmental. Thousands of research studies have proven that mindfulness can build focus and awareness, improves memory and quality of sleep, thereby boosts the immune system and reduces the feeling of loneliness, stress and anxiety. Despina (MSc in Forensic Psychology) is a fully trained teacher and supported by the Mindfulness Association UK, fully immersed in her own regular meditation practice, and receives regular supervision. She teaches mindfulness to everyone: from professionals at their workplace, performance artists, ex-offenders, and the general public adapting the practice to the individual’s needs and ability. Despina has been working in mental health for over 10 years and has been using Mindfulness and Self-Compassion techniques within her private sessions with individuals and witnesses the great impact it had on their lives, by achieving optimal health and high levels of well-being. Damarys Farrés is the Director and sole founder of D'CubanSchool. Damarys is a knowledgable passionate dancer, choreographer, teacher and researcher of the Cuban and Afro-Cuban culture dance forms and rhythms. These include Salsa, Son, Rumba, Yoruba, Bantu, Arara, Regaetton among other genres. Damarys is highly acclaimed in UK as well as worldwide for her charisma and her infectious energy. 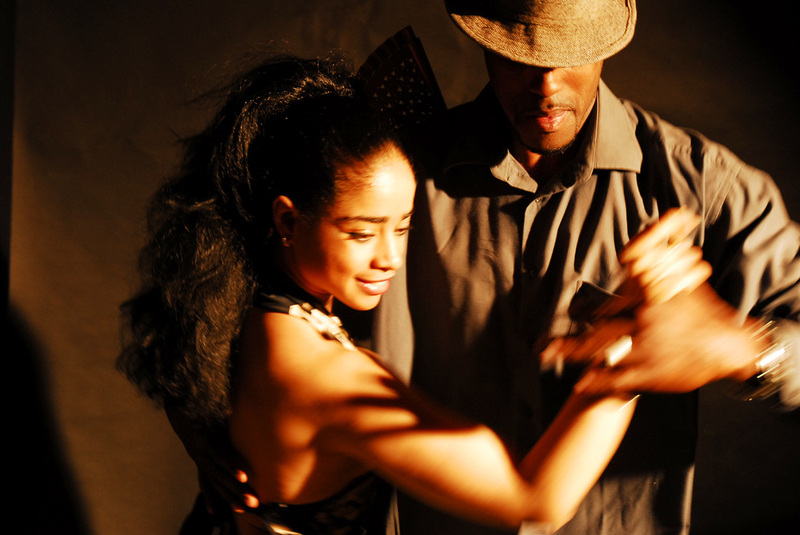 She is renowned for her knowledge and passion for the Cuban and Afro-Cuban culture, dance forms and her femininity. She has a unique dancing style, choreography, artistic direction and teaching, which owes much to her broad background in dance. This includes classical ballet, contemporary, jazz, hip-hop, reggaetton, traditional and popular Cuban styles, folk dances, as well as other Latin, modern and Afro-Cuban dances. Her passion for her culture and Cuban dance, especially traditional and Afro-Cuban dance, are her main motive for founding The Cuba School of Arts - The Home of Cuban Arts in the UK. Andrea has been teaching and performing Salsa for over 20 years in the UK, Salsa Congresses and schools all over Europe. Andrea lists her teachers and mentors as Mauricio Reyes, Jayson Molina, Descarga Latina and Santo Rico and lists her heroes and influences as Juan Matos, Felipe Polanco, Tania Santiago, Eddie Torres, Hache y Machete, Franklin Diaz, Tito and Tamara, the one and only Jhesus Aponte, Maykel Font, Osbanis Tejeda, Lazaro Lopez, Yanet Fuentes, Rafael de Busto and Delia Madera. Andrea loves combining her feminine style with Mambo and Salsa Afro onto the dance floor and stage. She is known as strong, feminine and bold and original. Sika was born in France from a Beninese father and a Polish mother.She'd been practicing Cuban Salsa for years when she fell in love with the sensuality and the footwork of Kizomba Dance. Attracted by England, she decides to move to London in 2007. After only a few months of practice, she reaches the finals of the 2009 UK eliminations to AfricaDancar! 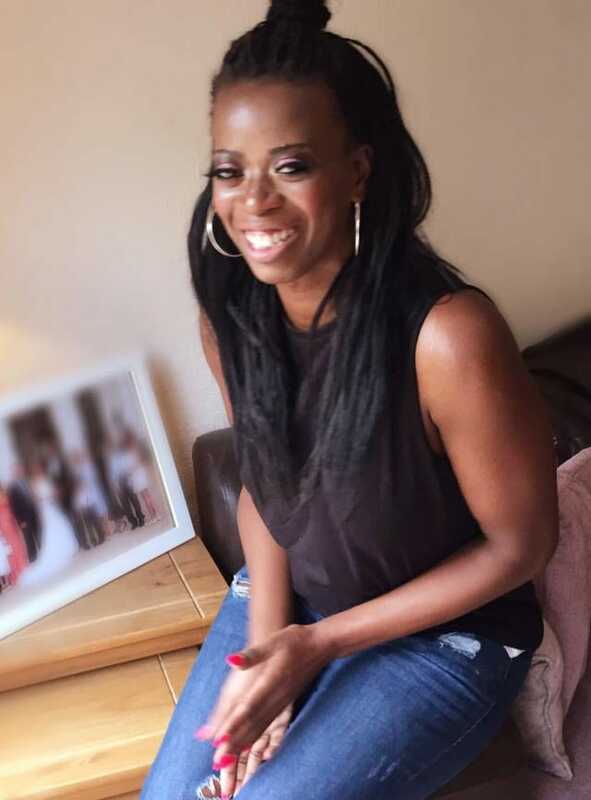 She then joined Studio Afro Latino as a Salsa & Kizomba teacher. Well known for her technic and Ginga, she teaches/performs internationally. She also does dance competition coaching and Kizomba teacher training. Sika will work with you to develop your confidence and improvisation skills on the dance floor, while embracing yourselves and connecting with your femininity.